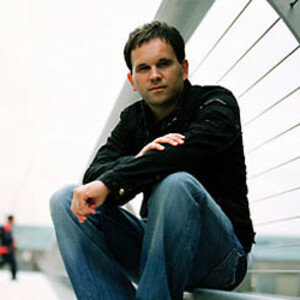 Matt Redman is a British, christian songwriter, and was one of the main worship leaders associated with the Soul Survivor organization. He is now with Passion Conferences and an artist for Six Steps Records. He has authored and edited multiple books on Christian worship, including "The Unquenchable Worshipper" and the book Facedown which accompanied the album. Some of his most popular songs include Heart of Worship, Let Everything That Has Breath, Once Again, and Blessed Be Your Name, the latter winning the "Worship Song of the Year" award in the 2005 GMA music awards. He has since launched another album, Beautiful News, and continues to write many more popular songs such as You Never Let Go and Shine. Songfacts states that Redman's eighth album 10,000 Reasons, was co-written with several of his friends. He then recorded the songs live in Atlanta, leading worship for over 1,000 worship leaders during LIFT: A Worship Leader Collective, put on by Passion City Church and sixstepsrecords on February 18 and 19, 2011. It sold nearly 7,000 units its first week in the US, almost doubling Redman's previous album release We Shall Not Be Shaken. The LP entered the Billboard 200 at #66, his biggest debut to date.